Kibor Bot Autoclicker :: Version 2.11 Service for demonstrating the work of scripts without code transfer and with a time limit. Version 2.11 Service for demonstrating the work of scripts without code transfer and with a time limit. A service for demonstrating the work of scripts without the transfer of source code with the restriction of work on time is realized - demo mode. Downloading scripts to a remote server with access to them by their name directly from the program Kibor. However, the script code itself remains hidden from the user. It is possible to set the duration of work in days, scripts on the user's machine from the moment of the first run on their computers. At the end of the test period, the script will no longer run on this machine. It is possible to generate an executable EXE file that can be distributed without the Kibor program. When you run this EXE into its memory, the corresponding script is downloaded from the server, information about it is given, which the developer gave. In the same way infa is displayed about the end and the term of the demo version. If the demo time for this machine has not yet ended - you can run the script for execution. 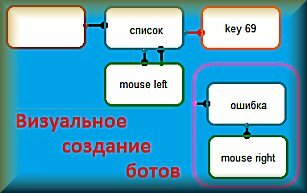 (для просмотра ссылки Вам необходимо авторизоваться) about generating such an EXE. The owner of the script can update it or delete it. When upgrading, you can choose if you want to reset or do not reset the demo mode time to users' computers. To see the demonstration of the service, go to the menu> Scripts on the server - download the script from the server and enter the name "test". The initial time of the test mode is 2 days. If the checkbox "When replacing the script to reset the demo mode time" is selected, when the script is updated to the new version, the demo mode time will be reset and the script will again be available to everyone at the time specified in the settings. You can manage the script only from the computer from which it was downloaded. For the script owner, the demo mode time is unlimited and no windows are displayed if specified when downloading the demo version with the proposal to enter captcha. Just enter the name of the script. The script owner sees the inscription "Script management is available" instead of the remaining time. The script description is available. In it you can specify contact information and script description, how to configure, etc. Service is provided as is and I do not give guarantee in the continuity and safety of scripts.